In United States, this is the moment to buy a new tablet. Amazon has some pretty sweet deals at Samsung NotePRO and Samsung TabPRO tablets. The biggest online retailer in the world has just reduced the prices at devices such as : TabPRO 8.4, 10.1, 12.2, NotePRO 12.2. Another device that is reduced is Galaxy Note 10.1 2014 Edition by $100, for the Wi-Fi models. As these models are pretty expensive, the price cuts at these devices are important to a customer that wants a new tablet. 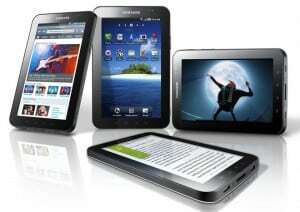 Is there anybody who wants a new tablet? Tell us, which product would you buy on Amazon !